According to the law of supply and demand the quantity supplied of a good or service will generally decrease as its price falls. To see how strong this effect actually is, we can once again draw on the concept of elasticity. In particular, we use the price elasticity of supply. 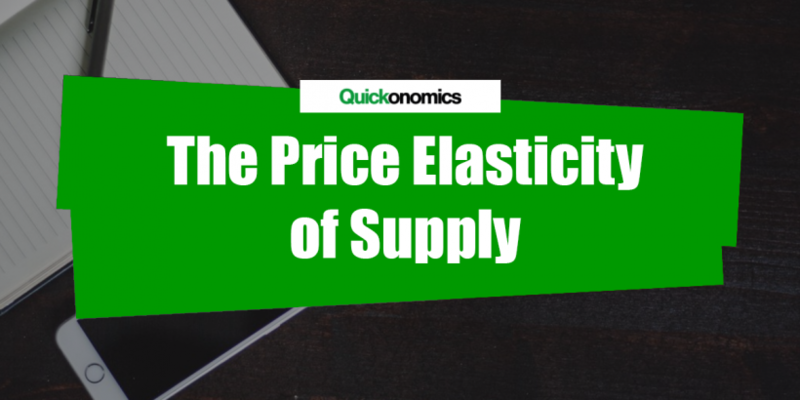 The most relevant supply side elasticity is the price elasticity of supply. It describes to what extent the quantity supplied of a good is affected by a change in its price. Not surprisingly, there are various factors that influence the elasticity so it seems reasonable to look at the most relevant determinants first. The price elasticity of supply is determined by several factors that influence the production flexibility of a good or service. Being familiar with those determinants will be crucial for analyzing and comparing elasticities of various products. availability of raw materials: If the availability of raw material is limited, supply will be rather inelastic. In this case it is more difficult for producers to react to changes in price. Especially if the price decreases the availability of raw materials may limit the production of additional units which results in a more inelastic supply. complexity of product: The more complex the production of a good or service is, the more inelastic its supply will be. A more complex production process requires more specialized equipment. This makes it more difficult for producers to react quickly to price changes because the equipment cannot simply be used to produce different products. In addition to that, complex products usually take longer to produce which also contributes to more inelastic supply. inventories: If it is easy to keep inventories of a product, supply will be rather elastic. Keeping stocks allows producers to increase supply by selling part of the inventories even if production cannot be increased immediately. On the other hand it also reduces the financial risks of excess production, since at least part of the stock can still be sold at a later time. factor mobility: The more mobile the factors of production within an economy are, the more elastic supply will be. Producers can react more quickly to changes in price of a good or service if they can easily reallocate their factors of production (i.e. labor, capital, etc.) according to current demand. relevant time horizon: Generally speaking supply is more elastic in the long run as compared to the short run. 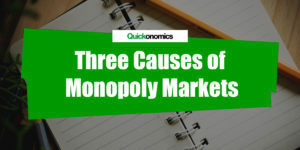 Firms often cannot easily change the capacity of their production facilities in the short run (because of binding contracts, opportunity costs, etc.). Those costs are usually lower in the long run because contracts can be allowed to expire and new factories can be built or old ones can be shut down. Now, please note that there may be additional determinants that are not mentioned here but are applicable in certain situations. This is not supposed to be a complete list. Basically every aspect that affects production flexibility in any way will have an effect on the elasticity of a good or service and can thus be considered a determinant of elasticity. There are different types of elasticity. Similar to the demand side, a supply curve can be elastic, unit elastic or inelastic. Please note that since elasticity is always measured at a certain point a single supply curve can have segments of all three types simultaneously. To see how this is possible, we will have to crunch the numbers and look at how elasticity is computed. 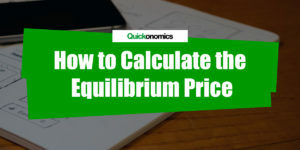 The price elasticity of supply is defined as the percentage change in quantity supplied divided by the percentage change in the price of a good. This can be illustrated using the formula below. To give an example, let’s assume that an increase of 2% in the price of ice cream causes sellers to produce 4% more of it. According to our formula the elasticity in this case can be computed as 4% / 2% = 2. So the elasticity of supply equals 2. However right now this number does not really say much so we still need some sort of classification to actually work with it. With the help of the different types of elasticity mentioned above we can classify the supply curve and thus interpret the result. If the elasticity is greater than one, a supply curve is said to be elastic. In this case suppliers respond strongly to price changes. As a result the quantity demanded changes proportionally more than the price. If the elasticity is equal to one, a supply curve is said to be unit elastic. In that case suppliers respond proportionally to price changes which means the quantity supplied will also change in the same proportion as the price. If the elasticity is less than one, a supply curve is said to be inelastic. In this case suppliers do not respond strongly to price changes. Therefore the quantity supplied changes proportionally less than the price. Since elasticity in our example is equal to 2 we can conclude that supply of ice cream is elastic at this point. Once again please note that this elasticity may change as we move along the supply curve, so there may be other examples where the ice cream has different elasticities on the same curve. This is due to the fact that we use relative proportions to calculate elasticities. The price elasticity of supply measures how the quantity supplied of a good or service changes as its price changes. It is determined by a number of factors, including the availability of raw materials, the complexity of the product, the possibility to hold inventories, the factor mobility within the economy, the amount of excess capacity, and the relevant time horizon. The supply curve of a good or service can be elastic (i.e. greater than 1), unit elastic (i.e. 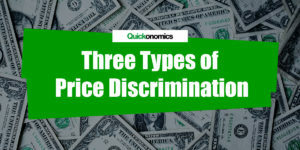 equal to 1), or inelastic (i.e. less than 1). It is possible to have different types of elasticities along the same curve.